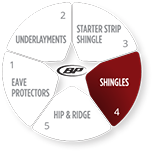 This classic shingle’s high performance rating assures years of reliability and peace of mind. Dakota offers a vast selection of elegant colors that feature a subtle drift of tone to create a dynamic look that matches many home styles. You can also be assured that Dakota will enhance your home’s curb appeal for many years to come. Dakota offers a choice of fifteen (15) stunning colors and is covered by a 25 year Warranty; its Standard Wind Warranty covers up to 180 km/h (110 mph) and its High Wind Warranty covers up to 200 km/h (125 mph) (as per special application instructions). This shingle can be used as a Hip & Ridge for Mystique. In this case, the warranty is as per laminate shingle installed. 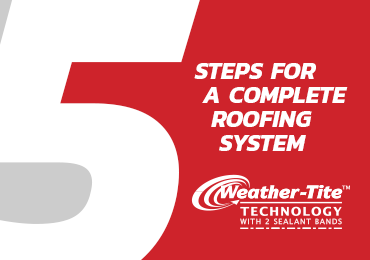 Weathertex is a self-sealing sanded membrane for roofing eave protection against ice and water infiltration.